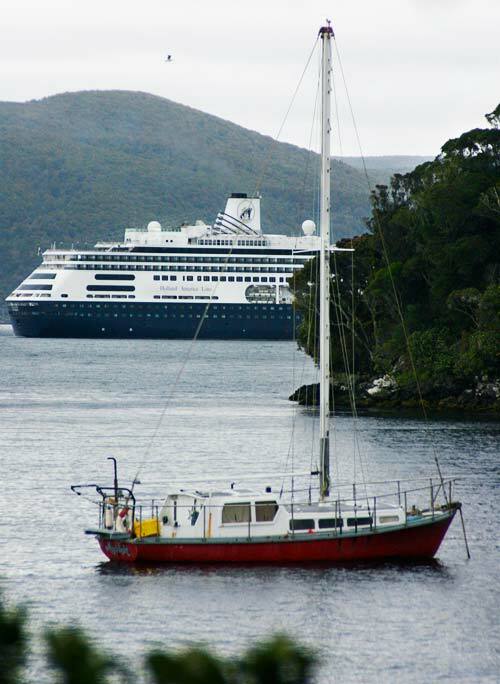 The cruise ship Volendam visited Stewart Island in December 2009. In the 21st century numerous cruise ships call into the island during the summer season. The Volendam’s 1,450 passengers outnumbered the Stewart Island population by about three to one, though not all went ashore.